Thanks to James StrongStyle Shaver admin of the Facebook page Pro Wrestling Carolinas for results. Brad Attitude def Marcellus King w/ a crucifix pin to advance to the finals. ‘Dangerous E’ Corey Edsel def Arik Royal w/ help from The Dangerous E-lliance to advance to the finals. PWI Ultra J Champ Lance Lude & Donnie Dollars def The All-Stars w/ Coach Gemini. Lude forced Eaton to tap out getting the win for his team. Tag team champions The Killbilles (Aric Andrews & Evan Banks) w/ Bobby Jo Neill def Rage & The Machine (Mecha Mercenary & Michael McCallister) to retain the titles in an elimination match. CWF Mid-Atlantic Heavyweight Champion Roy Wilkins fought to a time limit draw with ‘The Head Honcho’ Trevor Lee. 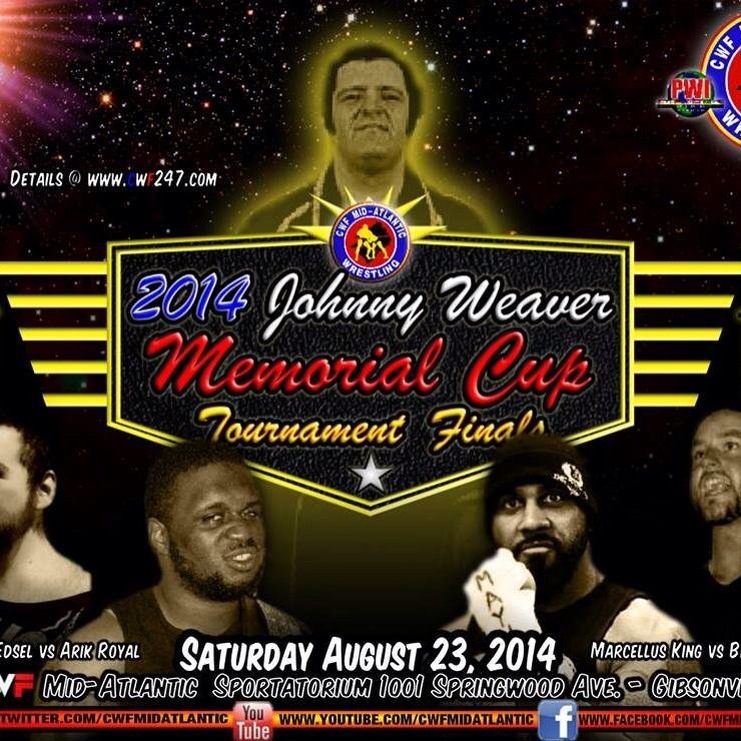 Brad Attitude def ‘Dangerous E’ Corey Edsel to win the 2014 Johnny Weaver Memorial Cup. Attitude now has a guaranteed CWF World Title shot anytime within the next 365 days. Huge Thank You to Anarchy Owner/Operator Franklin Dove for results. Corey Hollis def Trevor Aeon in the opening matchup. Jeremy Foster & Kevin Blue def Will Huckaby & ‘The Black Cloud’ Joe Black in tag team action. Anarchy TV Champion Tommy Penirelli def CB Suave to retain the title in a final battle between training partners & former friends. **Prior to the match Franklin Dove named Slim J special referee, Slim J helped train both Suave & Penirelli. 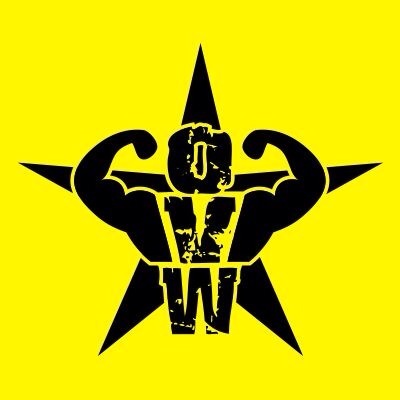 ‘Wrestling’s Most Dangerous Weapon’ Geter def Jacob Ashworth by pinfall. Anarchy Wrestling Tag Team Champions Todd Sexton & Bobby Moore def members of The Elite (Se7en & The Jagged Edge) via DQ to retain the titles. Mike Posey def SuperNatural in an Old School Challenge matchup. The Urban Assault Squad def The Washington Bullets in tag team action. Azrael def Jagged Edge via DQ in a short match after Se7en interfered. Billy Buck def Anarchy Champion BJ Parker by DQ after interference from Lars Manderson. Stryknyn made the save for Buck & a tag bout was made. Billy Buck & ‘The Lethal Dose’ Stryknyn def Anarchy World Champion BJ Hancock & Lars Manderson in tag action. 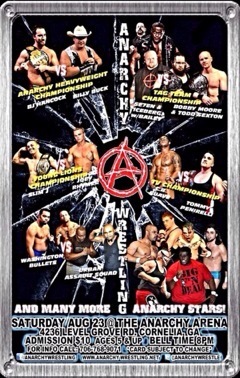 Anarchy returns 9/13 and will feature Billy Buck vs Stryknyn to decide #1 contender to Hancock’s heavyweight championship. 1. NWA Lone Star Jr. Heavyweight Champion “The Juicy One” Danny Ramons def. Americos by pinfall. 2. “The Texas Torture Machine” DJ King (with “The Benchmark” Silky Baines) def. Purple Haze by pinfall. 3. Tim Storm def. Chaz Taylor by pinfall. 4. NWA Lone Star Tag Team Champions “Golden Boy” Greg Anthony & “Loverboy” Matt Riviera of the Empire def. “The Texas Lion” Houston Carson & Rudy Russo by pinfall. 5. Jax Dane and Shane Taylor came to blows during Dane’s tribute to his injured partner Ray Rowe. The two will face next month in a Lumberjack Match. 6. NWA CEO Chris Ronquillo took the ALS Ice Bucket Challenge, donating $100 to the Team Gleason foundation, and also allowing fans to pour water on him for donating as well. A total of $500 was raised for ALS research. 7. 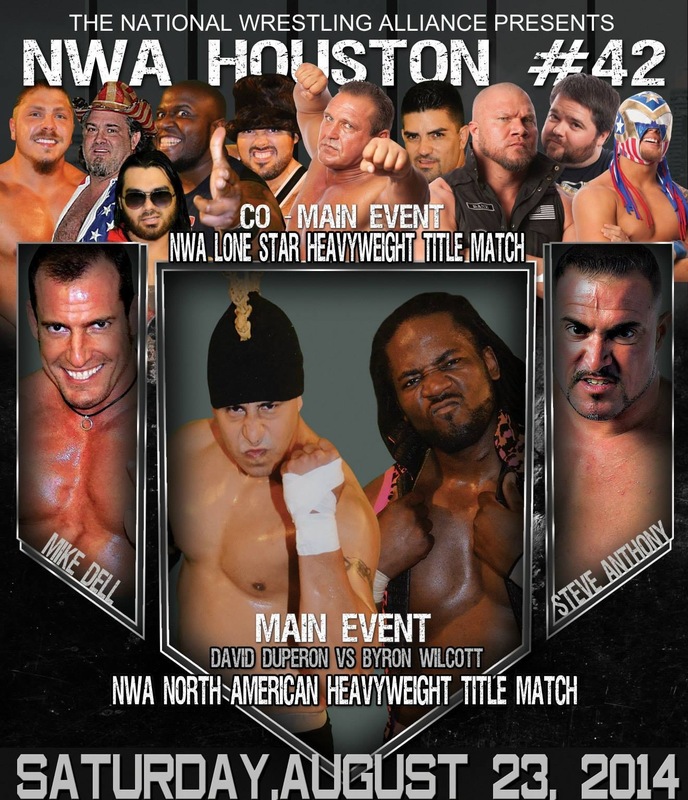 NWA Lone Star Heavyweight Champion “The Exclamation Point” Steve Anthony def. “One Man” Mike Dell by pinfall. 8. The match between NWA North American Heavyweight Champion “Big Daddy Yum Yum” Byron Wilcott and David “Super” Duperon was ruled a no contest due to interference by the Empire. As a result, Tim Storm, Greg Anthony and Matt Riviera were suspended by 60 days. Rather than be suspended, Steve Anthony has been ordered to defend the Lone Star Heavyweight title on September 20 against an opponent of Chris Ronquillo’s choosing. Genesis won the first ever PPW Something to Prove Challenge Gauntlet Match by last defeating Matt Dewar. “The Urban Rebellion” Cutta Crosby & Chase Gosling def. “Mr. 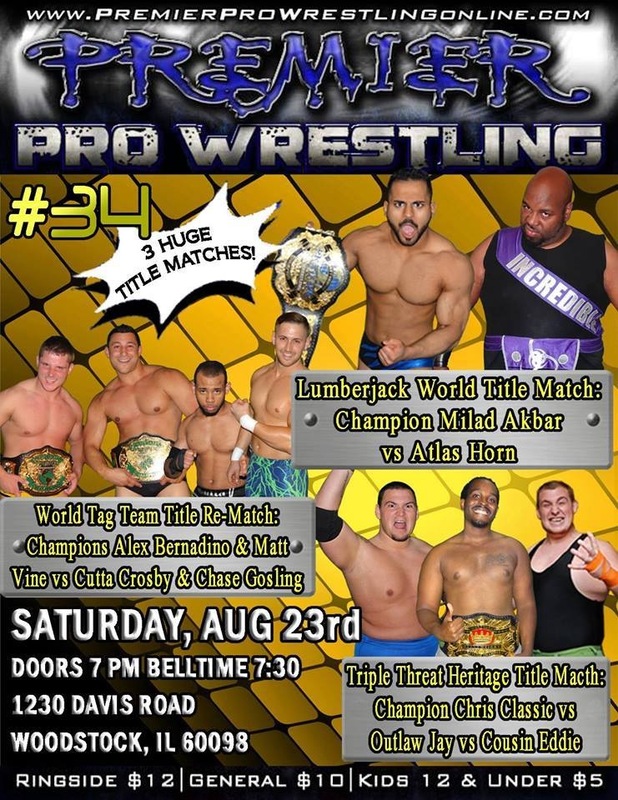 Intensity” Alex Bernadino & “The World Exclusive” Matt Vine (c) to become the new champions! Robby Phoenix defeats Brian Kendrick (c) – TITLE CHANGE !!! 4th Wild Boyz EFD Eddie Diamond & Bud Dwight vs Randy Terrez & Robbie Walker. Wild Boyz win. 5th match Mister Marvelous Melvin Maximus vs Adam Revolver w/ Michael Titus. Melvin wins via submission. 6th match Rev Stuart Miles w/ the congregation vs Wrestling’s Rockstar Ryan Howe. Ryan wins via pinfall after a charttopper.